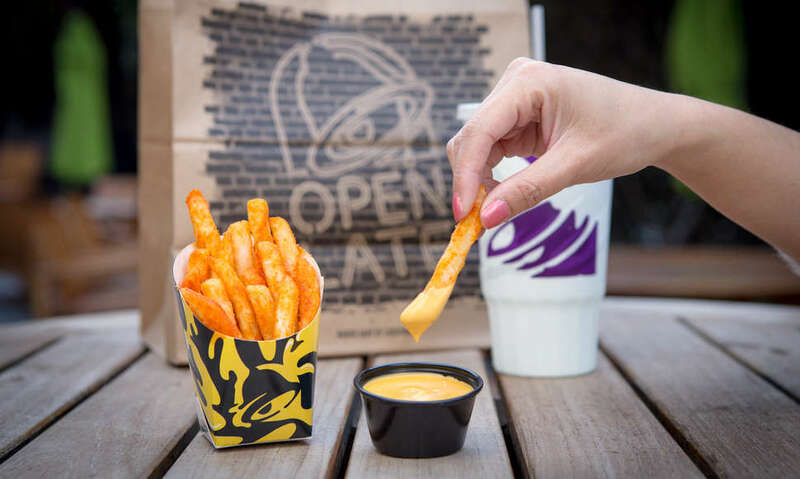 It feels like years since our heady afternoons of eating Taco Bell's nacho fries were abruptly cut short, but that was just back in April. But there was a prophecy (as in Taco Bell explicitly said it), that the beloved new item would make its return. That prophecy has been fulfilled just in time for National French Fry Day, and you will again be dunking super-seasoned fried potatoes in liquid cheese once presently. As of Thursday, July 12 (aka, today), Nacho Fries have returned. Like last time, though, they won't be around forever. But this time, they won't appear on that ever-morphing dollar menu though, which means you'll be paying a bit more. The fries will $1.29 as a side, or you can get them in their Supreme or BellGrande form for $2.49 and $3.49 respectively. And just to clear up any confusion here: Though Taco Bell has been known to make some pretty wild combinations (Kit-Kat Quesadillas, anyone? ), these are just what they sound like. Fries you can dip in cheese. And sometimes that's all you need. Hopefully, if this run goes well the fries will find a permanent home on the menu and in your heart/digestive system.